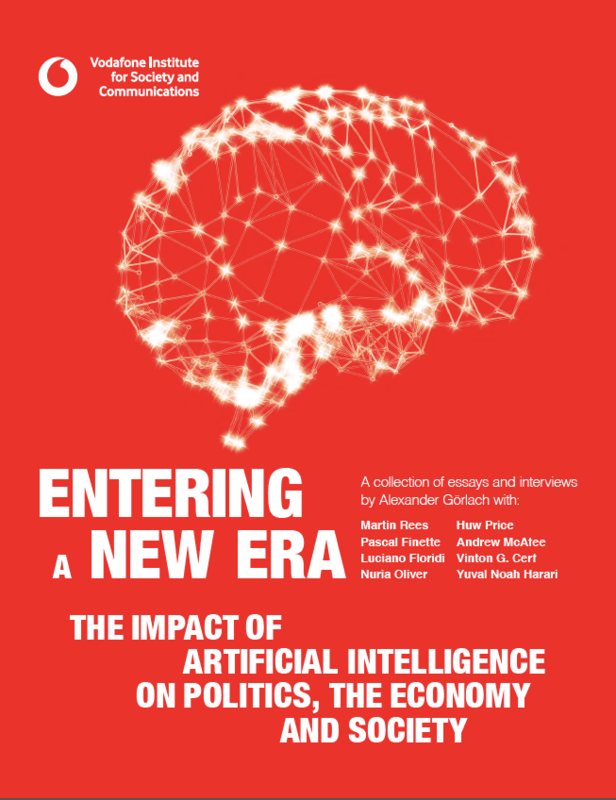 In the publication "Entering a New Era" experts like Vinton G. Cerf, Luciano Floridi and Yuval Noah Harari debate the future of Artificial Intelliegence. 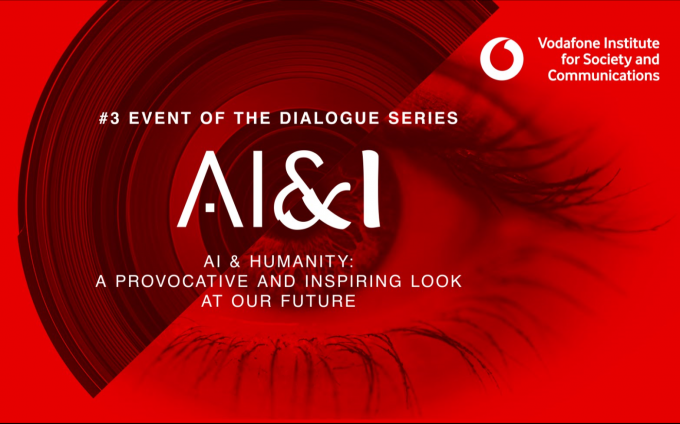 The increasing influence of artificial intelligence on society is the subject of a published collection of interviews and essays by the Vodafone Institute. 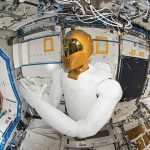 In “Entering a New Era”, high-ranking researchers from various scientific fields comment on the effects of future technologies on people’s lives. The interviews were conducted by journalist and publicist Dr Dr Alexander Görlach. In addition, the Israeli historian and bestselling author Professor Yuval Noah Harari (“Homo Deus”) contributes an essay on the possibilities of computer games as a work substitute. Artificial Intelligence is already used in many areas of life – often unnoticed by consumers. Be it in search engines, card apps or social networks. Until a few years ago games like Chess or Go were considered an impregnable fortress of human intelligence. This changed with Deep Blue and AlphaGo. One of the central questions of the interviews is how to deal with the tension between the benefits and possible dangers of artificial intelligence. On the one hand, the potential should be used as optimally as possible, on the other hand, this should be harmonized with ethical principles. The future of humanity depends on the future of science: At the Vodafone Institute Lord Martin Rees urges us to finally truly understand technology. 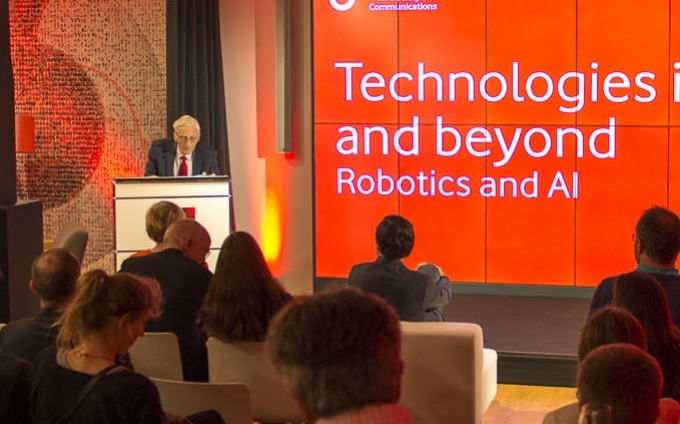 22 November 2018 at the Vodafone Institute Berlin: In part three of our interview series Martin Rees and Alexander Görlach will discuss the symbiosis between man and machine. 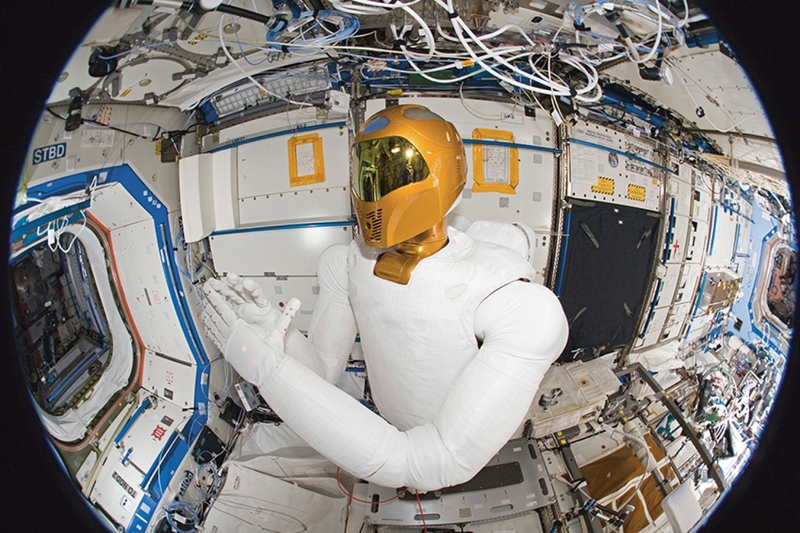 How will humans and technology shape each other? 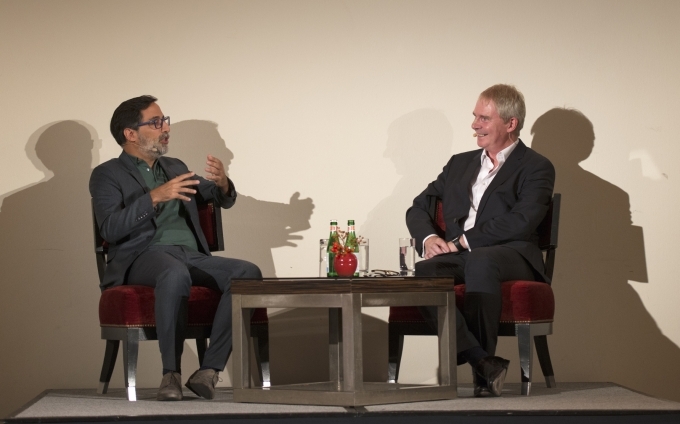 Under this lead question Prof. Alexander Görlach and Prof. Sir Nigel Shadbolt discussed the future of human and machine.